Tethering involves sharing a phone mobile data connection with another phone, laptop, or tablet. This is done by, connecting it to the Internet using your phone’s data connection. Tethering also helps you save your laptop’s battery power, since you won’t be able to switch off your laptop’s Wi-Fi while your phone acts as a modem. That is, if the connection is made through cable, rather than wirelessly. If you’re not actively using tethering, you need to disable it to conserve power over your generic phone and keep its batteries lasting for a while. 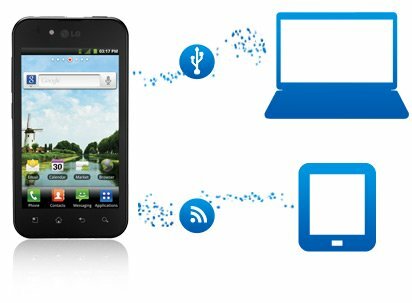 You can share your mobile’s data connection with another gadget by using a portable hotspot, Bluetooth tethering, or USB tethering. This can also be handy if you want to use the Internet on a laptop computer, but don’t have a connection. These features will rely on both your phone and your carrier. There is a possibility that you may incur additional charges for the Wi-Fi hotspot connections, or tethering. If you experience some issues, check with your carriers to find out if you can enable tethering on your phone. To enable tethering on your mobile phone, open up your device’s Settings menu. In “Wireless and Networks”, select More > Tethering portable hotspots. Click on the box or select the switch located next to “Portable Wi-Fi Hotspot”. Once the option has been switched on, you will receive one of these notifications – “Portable Wi-Fi Hotspot Active”, or “Hotspot Connections Active” or “Multiple Tethering”. Click on the notifications, then ‘”Set up Wi-Fi Hotspot”. You can select a new name for your hotspot in the ‘Network SSID’ field if you want to. But if you prefer a different password, enter a brand new one in the ‘Password’ field. If you don’t want any security, click on ‘None’ under ‘Security’, then click on ‘Save’. With the device that you want to use the hotspot on, click on the network from the list of Wi-Fi options, and put in the password to connect to the Internet. Should you decide to terminate the data sharing connection, do not check on the box or switch off the button beside ‘Portable Wi-Fi Hotspot’ inside the menu under Settings. 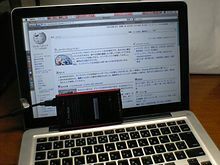 For USB tethering, connect your phone to your laptop through a USBN cable. You will see the USB tethering option become available. Enable this option and you will find a new network adapter in Windows. This USB tethering connection is described as a “Remote NDIS based Internet Sharing Device”. This adapter can be connected to the Internet using your mobile phone’s data connection. It should also be used automatically if you have been disconnected from the standard Wi-Fi and wired networks. If you have a computer that runs Windows XP, you still need to download and install a configuration file before tethering your mobile to the computer. First, you have to follow the steps to switch on the USB tethering for your device. Download the configuration files to your computer with a Windows XP operating system. Usually, just right-click on the link and select “Save as”. If your browser includes “.html” to their file name, you have to edit the name to get rid of the .html extension, and replace it with .inf instead. Then, using a USB cable, connect your phone to your computer. When you open up Windows XP’s “New Hardware Wizard”, click on “No, not at this time”, and then “Next”. Choose “Install” from the options or a certain location, then click on “Next”. Click on “Browse” to start browsing through the directory, where your configuration files from step 2 are installed. Click on “Next”. Once Windows XP is done with the installation of software for the “USB Ethernet/RNDIS”, click on “Finish”. Activate Bluetooth on your mobile phone, which can be found under the “Settings” menu. Set your phone to be visible or discoverable by other Bluetooth devices. Using the PC, find your Bluetooth program manager in Windows 7 or Windows XP. Look in My Computer > My Bluetooth Connections, or you can find Bluetooth devices inside the Control Panel. If you’re using a Mac computer, just go to System Settings > Bluetooth. Once you’re inside the Bluetooth program manager, choose the option to include a new device or connection, which will make your computer find available Bluetooth devices, as well as your phone. When your cellphone shows up in the next screen, select it to pair it up or connect it with your laptop. If you’re being asked for a PIN code, try 1234 or 0000. Enter it on both the computer, and your mobile device if prompted. If these codes do not work, look inside the info that comes with your device, or look for your phone’s model and the words “Bluetooth pairing code”. After your phone has been added, you will be asked about what service you would like to use. Select PAN (Personal Area Network). You should now have a stable working Internet connection. Third Party Apps. If the tethering function has been disabled in your mobile, and it so happened that you got this phone from a carrier, you may opt to use third-party apps that will enable you to tether. Reverse tethering: In certain situations, you might want to share your computer’s Internet connection to a phone instead. This can be helpful if you happen to have wired Ethernet connections found in the area, and don’t have access to a good Wi-Fi connection.